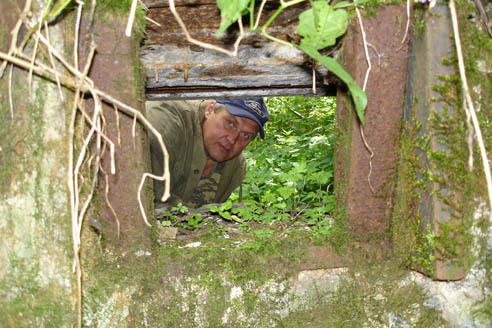 Many bunkers are lost in the wilderness, deep in the woods on the old defense line. This is our friend, the local enthusiast, historian and expert on bunkers. Former combat engineer, he worked with explosives and knows how to disarm most of them. Once, I asked him to teach how to disarm old grenade, he said, - that sapper can only make one mistake and can not be amateur, a sapper, he said, will either be good or be dead. 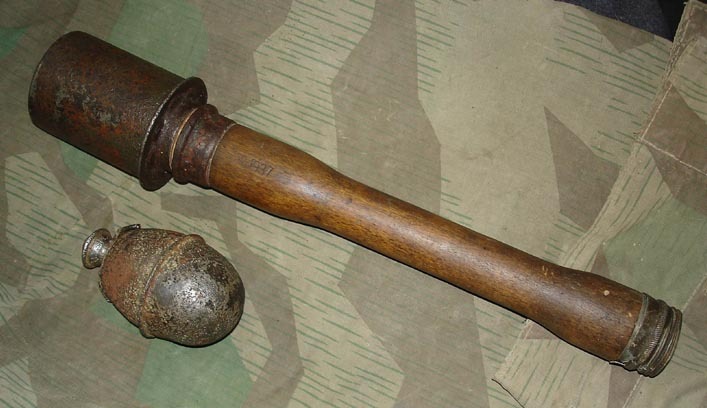 Below are two recently found German grenades: M-24 and M-39. The last type we call "eggs" M-24 has the original wooden holder. They are not too hard to find one, many people in villages still have them around. After the war, local women used the M-24s in the kitchen for chores like churning butter, pressing potatos, etc..
picrats, which is dangerously unpredictable. In theory such a grenade can expload just by dropping or hitting with a shovel, but in reality most of guys blew themselves up when tryed to disarm explosives or tryed to take them appart to see what inside. I myself not that curious, the idea of putting old bomb on fire wouldn't appeal to me either. Some explosives more dangerous, other less, but there is no safe explosives, so it's really better just to stay away from them. 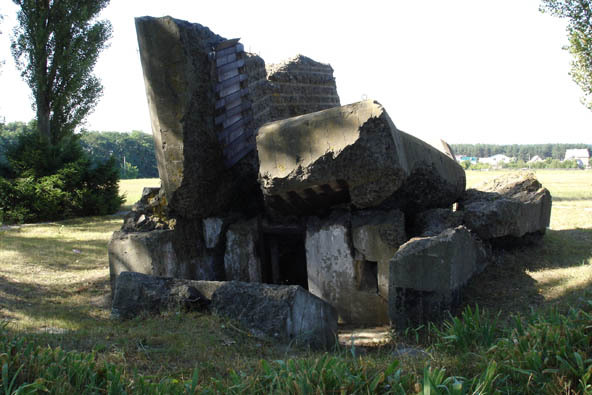 This bunker stood separately, close to the road. 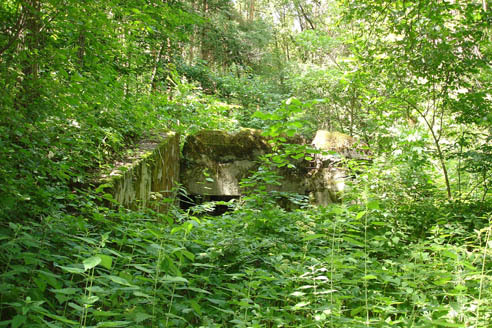 Here, German Army broke through the two of three defence lines, then as fighting has already been on a city streets, the Soviet Army counter-attacked and this bunker was taken back. Later, it undergone attack of German tanks, since then it stand in ruins. When I was in school, I remember a soldier and the officer were found in this bunker. The officer had a gun that was given as a reward. By number, they identified the officer, found a family and burried him properly. Each side lost 40.000 dead on defence line, armies have been moving fast in this battle and many things were left scattered on battlefields. Back in 1980s it was not unusual to find some buckle or bayonet on surface. 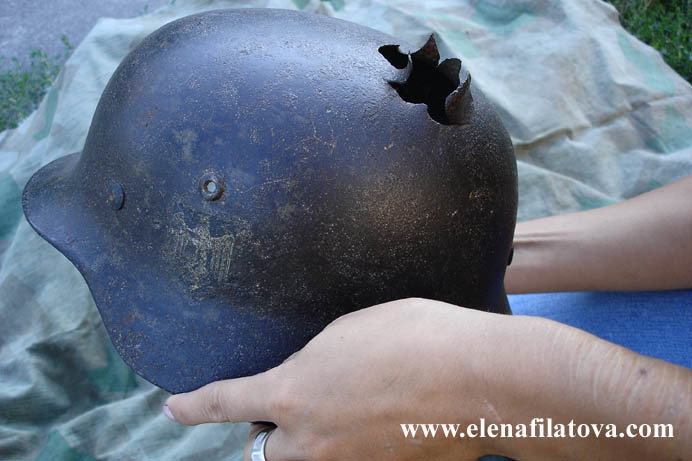 Interesting find, the "rose" must be from a shrapnel that went through the head of a soldier.